Hannette Staack talks about sub-only, stalling, cash prizes, BJJ in the Olympics, women’s Jiu-Jitsu and the prospect of building a family. When you think of female BJJ Pioneers the names Magalhaes Duarte, Vieira, Ribeiro, Kwok, and Staack should roll off your tongue like honey. If you do not know who 3rd Degree Black Belt Hannette Staack is, and you are a woman that seriously trains in BJJ today, you are WRONG. Her 2007 flying armbar in the ADCC Championships is an unforgettable moment in BJJ history. When she hits the mat, she is a competitor that fights with all her heart and puts everything on the line. It makes her a DYNAMIC fighter. Eight years has passed since that match vs. Rosangela Conceião. BJJ Legends is sitting down with Professor Staack to see how she has progressed and what the future holds for such a charismatic individual that shows no signs of slowing down. 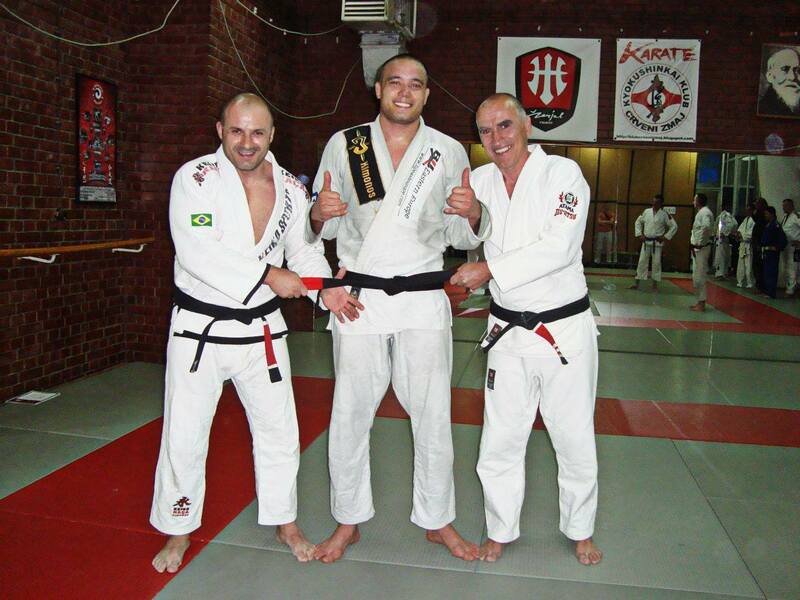 BJJL: Tell me about 2014, what opportunities did it bring to and your husband (4th Degree Black Belt Andre “Negão” Terencio)? Staack: 2014 was a very good year. Lots of things going on in our business. New people coming to the association, expanding the Brazil-021 Family. It was busy for our association, in a good way, but in another hands I had to focus very much on the business and start leaving the competition scene. But I think this is the normal transition. Staack: Getting all the schools on the same standards. No egos… Our mission for 2014 was United we stand divided we fall… We grew together as a family. I also competed at the Worlds 2014 and got second place, which of course was not the result I expect, but I lost on the final just by one advantage, which is not much at all. For a 36 years old, business woman like me, who has to take care of most of the things in the Brazil-021 association, I think it was a good tournament. We always want to win, but it was a close match, so, all worth it! It was also a great year for me as a coach, and so was 2013 as well. I am working on getting my students to the next level. In 2013 I had 2 of my girls competing and one of them Kristin Mikkelson got 1st place on the blue belt light weight division and 3rd place on the open class. My other student Kristen Martin got 2nd on the blue belt light feather. In 2014 Kristen Martin got 1st in her division Purple Belt light feather and Mikkelson, lost by decision on the quarter finals for the champion of her division. So it was a great year, for Brazil-021 in general. BJJL: BJJ is not what it once was intended to be, would you like to see a return to submission only matches? Staack: I definitely want to see that. I think now-a-days a lot of people “play by the rules” which is not wrong. I think you have to have a strategy, but the problem is when you have points, people will be afraid to open their games and that is when the stalling comes. If we had more of these tournaments, especially with cash prizes, we definitely would see way more interesting matches. Staack: I think it will be a while to see our sport in the Olympics. I still think we have a long way to go, with rules, federations and organizations. But I would love to see the sport one day as a part of the Olympics. As long as we are still evolving. As of now, each Federation or independently run BJJ organization has its own set of rules; would a more unified approach from all organizations help with the integrity of the sport? Of course. I think what is happening but every organization wants to set their own rules. They want to be different from each other but the problem is, in the end, they are not helping the sport to evolve. If we had unified rules, we would have less misunderstandings and less people complaining when they are in an official IBJJF tournament. We also would have less injuries and better referees. BJJL: How much do you think BJJ has changed in the last 5 years for women? Staack: I think it has changed a lot. More and more women practicing and competing. Which is great… Now we have more respect, more sponsors and more attention. It’s great to look back when I first started and see women getting their space in the competitions, getting prizes, getting attention from the media. Before it was much harder for women to make a living only with BJJ, but now I can see other women like me, Jiu-Jitsu business women which is great! It is progress, still improving, but way better than before. BJJL: What are your plans for 2015? Staack: Become the BEST Hannette Staack I can be to my students. I have been dedicating my entire life to competitions to be the best in the sport and as much as the competitions are a big part of my life, I think it is time for me to focus on other things, to help my students to get their way in this sport. It’s been hard to let go, but I think it is time to build my legacy and to become now the best coach, the best mom (future plans … Lol), the best business woman I can be to build the other side of my career. But who knows if I get a good proposal to compete, I might as well go… Haha… A Heart of a fighter will always be this way! 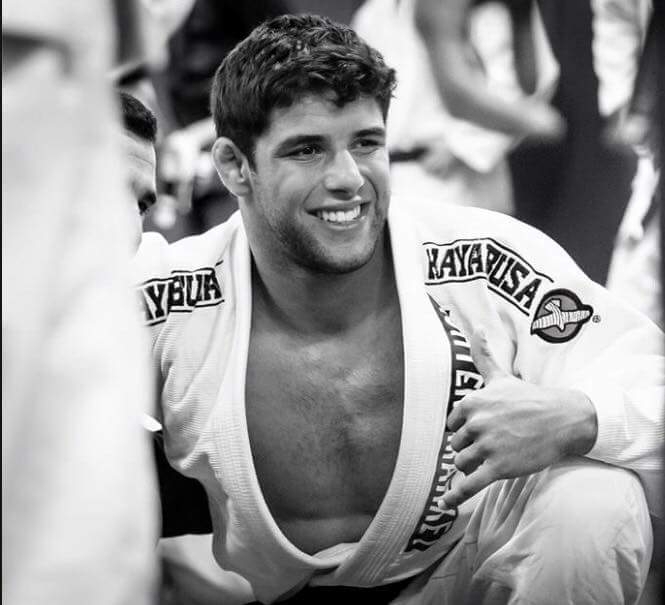 BJJL: What do you think the future holds for BJJ? Staack: Improvement with the rules, a more professional BJJ scene like the World Pro, but with better referees. It will keep evolving, but the basics will be always there and it will always be effective. If you think about some of the positions we have today, like the 50/50 for example, they are not very good for your body in many ways, so I would say in the future, the rules will help to avoid those positions. And for the practitioners, they will be more aware of the damages that those techniques could cause to your body over time. BJJL: As one of the PREMIERE role models and athletes for up and coming female BJJrs, what advice can you offer? Staack: Many… 1. The way is always harder than for anyone else, but it is worth the try and the sacrifices. Don’t give up, believe in your dreams, work hard and even if takes longer than you thought, keep on going. 2. Always value the person who is helping you in your journey, your teacher, and your teammates. If they are helping you to get to your goals, that is what matters. Listen to your coach/professor. But remember, there is no such thing like Black belt in life, use common sense, if you feel something is wrong talk to other people, give your thoughts about what is happening and get help. There is always a lot of people willing to help, including me 🙂 3. Stay humble; 4. Don’t let your EGO blind you; 5. Remember the purpose of why you joined a BJJ School, to learn Jiu-Jitsu, so, don’t let anything interfere in your goal. Stay FOCUSED. Jiu-Jitsu is your number one priority when you are on the mats. Keep rolling! BJJL: Some of the ladies that have taken your seminar rave about a specific conditioning drill that you have…It takes 15 minutes and is multiple BJJ movements chained together. Can you talk to me about it? Staack: It is a method that helped me a lot in my career, so I want to pass it on to other people. It is for me, the best way to create muscle memory. Then, when it is time to roll it is easier to remember and put in practice the technique. It is also a great way to get you tired… LOL and when it is time to train you have to use your technique more than your strength. BJJL: Your “under stress approach” seminars are also a huge hit. Will you elaborate on your thought process behind that? Staack: I don’t like to be in a class where everyone is just sitting or taking their time to do everything. I like to be doing something all the time. I think that is the reason why I always do the seminars this way. Nobody is resting… We are always doing something, practicing, drilling, rolling, etc. It is the best way to learn in my opinion. BJJL: I know you are a fantastic humanitarian. Talk to me more about your non-profit organization Brazil-021 Project. Staack: It was a way to give something back to the community. I think Jiu-Jitsu is a great tool to help people to get more self-control, self-confidence, discipline, while playing, while having fun. So they learn all this and still have fun doing it. When we decided to start this project, we didn’t know it would grow that much. We have more than 80 kids training in Brazil and the idea is to bring the same project to the North America, because we know that here we have kids with the same problems as the kids in Brazil. We want to provide good examples, the ones they don’t have in their own community. We have talked to the parents and we have great feedback from them about their kids. BJJL: Was there any point where you hit a wall and wanted to give up BJJ and do something else? If so why? Staack: Yes. My life in BJJ was mostly based on competitions, and this year 2015 right before the worlds I felt like I needed to compete again. I had to prove to myself that I could do it again. It was really hard to let it go. I had a serious conversation with my coach, who is also my husband and he convinced me to not compete. But I wasn’t completely convinced yet, so I kept training hard, like I was going to compete. I had a little hope that I could go there and participate. When it was getting closer to the event I finally realized that I was not going I got really depressed. I was having terrible nightmares and sometimes I thought about giving up everything. I didn’t want to go to the event, because I didn’t want to see the competition. Finally after talking to other people, that went through the same problems I realized it was best not to compete. Focus on my students, doing something bigger to the community, contributing in a different way to the BJJ World. After going to the Worlds and seeing so many people winning by one advantage, stalling, a lot of referees mistakes, I am glad I did not compete and I have now extra motivation to continue on this journey, contributing as a teacher and mentor to my students and to all the people who wishes to learn Jiu-Jitsu. BJJL: Have you ever thought of yourself as a female hero to women in BJJ? Staack: LOL… No never. But I know my responsibility in the Jiu-Jitsu community, so I try to set a good examples to my students, to the kids from the Project. I want to be the best I can be. BJJL: Do you think that women are taken advantage of if they do not educate themselves about BJJ and what is and is not acceptable in their training environment? Staack: I am sure. I always say that for women is always harder to be in this community. The first biggest barrier is finding a place that we can be treated as equal. We have to face this every day in our lives… In Jiu-Jitsu is not different, especially for a sport that is mostly male predominant. Some schools do not even have female changing rooms or bathrooms. We have different prizes, sometimes we don’t even have prizes. I had to face in the beginning of my career, situations that women would come to the school to find a date and once they were training or drilling with me they would get upset. It is hard! I found my way to the top because I always focused on my Jiu-Jitsu improvement more than everything else. I earned my respect, through my dedication. I think this is the key for the success and that is what I try to pass on to my students. I always ask them “what your goals are?” so focus on the result, the result you want for you. My school, because of me, is a very female oriented place. Our students are always respectful, and they feel comfortable in bringing their wives, moms, sisters, grandmas, girlfriends to train with us. BJJL: What is your policy on sexual harassment towards men or women in your gym? Staack: We have a set of rules, our DOJO ETIQUETTE, to make sure the schools and everyone is on the same page. It is unacceptable to have someone hitting or with a disrespectful posture in the school towards anyone, men or women. With our annual summits we always have a chance to talk to all our affiliates to be careful about who they pick to be their instructors. We know how big the influence of an instructor or Professor towards the students is and how many people and schools end up getting a bad reputation because of this. Also we always pay close attention in class on people’s behavior. This way we can sense people’s intentions and prevent or at least minimize the risk of having something like this happening. BJJL: What do you hope the next generation of women will bring to the table competition wise? Staack: I was a little disappointed after this IBJJF Worlds, I saw too many women playing to win… Don’t take me wrong when I say that, but I think sometimes people play only to win by an advantage. You don’t see many people going for submissions, playing with all their heart. I hope to see more women playing the real Jiu-Jitsu, trying to submit all the time, taking risks. Because BJJ is all about taking risks, it is all about submission. I know it is hard sometimes to win by a submission, but I also know by my own experience, that sometimes, people don’t want to move just because they are afraid of getting submitted. So I hope this generation brings back the real BJJ, bring their hearts to those mats and be fearless. BJJL: Babies, when do you think babies will come into the picture? Hannette Staack has done some phenomenal things as a competitor. 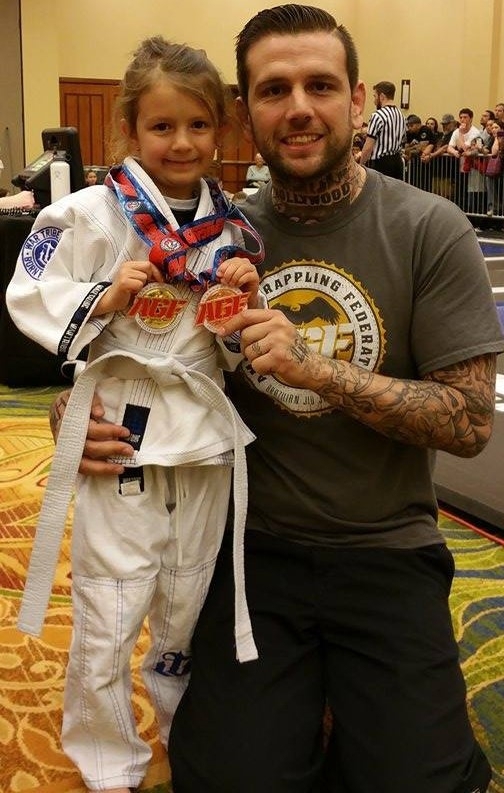 She started out in BJJ at the age of 18 and now with 18 years of experience she has built a legacy to be absolutely proud of. As she transitions, she can build upon that legacy as a mentor, a coach, and so much more.